Should I buy an Iphone 5? 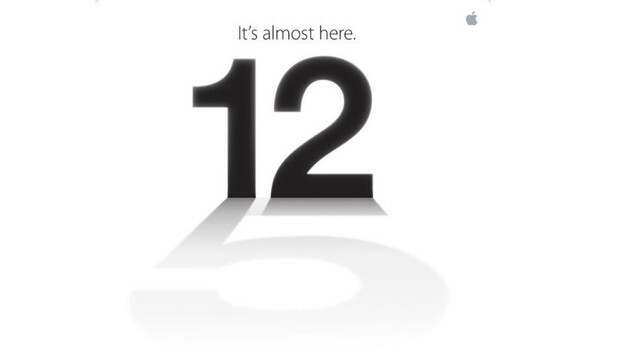 Apple has just released the Iphone 5 and that bring to an end the most awaited tech launch of the year. It also marks the end of a long wait for people who wanted to wait , compare and buy their next smart phone. 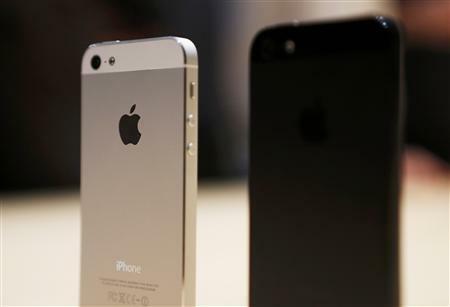 Unlike the previous launches, Iphone has been launched in a very competitive environment. There are at lest 3 other phones in the market which would be looked at before the customer decides to splurge on their phone fetish. But the question is should I buy an Iphone 5? Complete redesign with 4-inch (diagnol) Retina display The taller screen delivers more content, an extra row of apps plus widescreen HD video, five days viewing on your calendar and more display space for web pages. 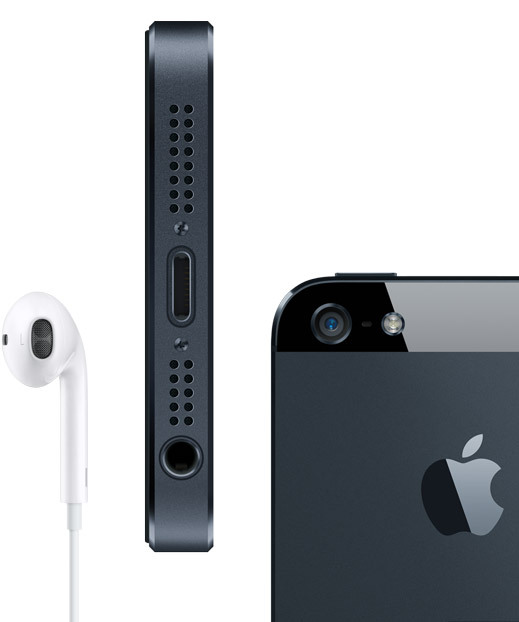 Improved audio and recording, including three microphones, bottom, front, and back and new noise canceling technology and new Apple EarPods, promising the kind of quality you’d expect in higher-end earphones. 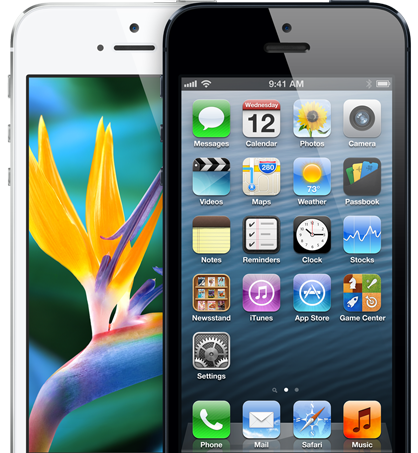 IOS 6 will power the new device, with more than 200 new features it is going to be all new and better. 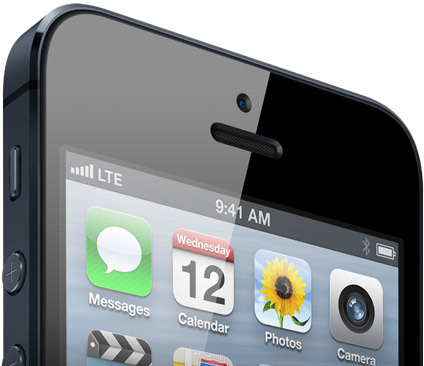 How does iphone 5 compare with other phones? Here is a small snap shot of how the new Iphone 5 compares with the completion that exists in the market. Happy smartphoning…. I leave the decision to you…. Oscars, for some weird psychological reason, has garrisoned itself in an obscure corner of my heart. The first time I saw the show, a very long time ago; “Tears of Endearment” made it to the top of the podium for the best Film of the year. I have always been hooked to it ever since. I was in grade three and we did not have a TV in the house back then and we saw a VHS recording of the show at the residence of a family friend. The sheer exuberance of the show caught on and it managed to keep me in the same state until now. It was the 56 Academy Awards then and it is the 84th Oscar this weekend. I suddenly realized I have been watching Oscars for the last 30 years and I somehow managed to watch each of these shows for the three decades. Over the years I often come across the argument that, Oscars does not deserve importance it gets in the movie Industry. It is, but another over-hyped, magniloquent show in the US. I completely agree with most of the argument, but it still is special to me. I am just another brick in the wall along with 39.3 million bricks who watched it live and millions others like me, who will watch a recording of the show. It is not that I love watching award shows, in fact I hate watching award shows. I have never once sat through a complete awards show on TV, be it Filimfare or the abundance of the shows that we have on Indian television. They cannot keep me engaged for more than couple of minutes. I am not trying to be an elitist here by showing descent on anything Indian. 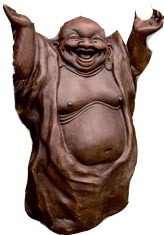 I disdain Grammys, Emmys, Golden Globes and all other awards with the same level of derision as Star Parivar awards. It seems like I have been conditioned over the years to like the Oscars. In the times of Doordarshan, with such a dearth of content on TV and being fed up with Krishi Darshan and Humlog, the academy awards was an event that we all waited for. It was once in a year brownie that was offered by the national Television. 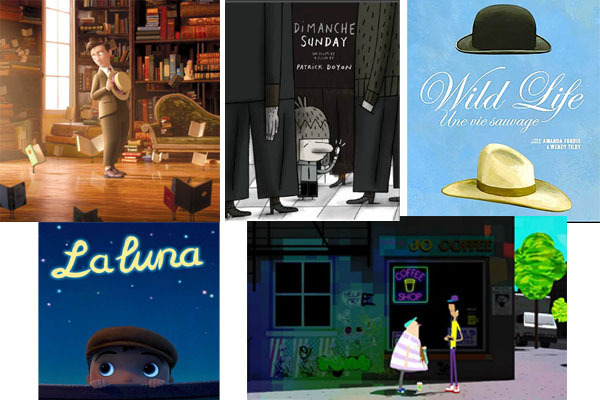 Compared to the rest of the content Oscars then was one of the few shows that engaged the entire family. Add to it my dad’s love for English movies and his conversations with his friends about the finer points of film-making always made a good evening pastime. Now I am the Pavlov’s dog, conditioned to wait for it every year. If I can’t watch it live, I would watch a recorded version or downloaded the show, in the more recent times. This year, is going to be no exception. I have not seen the show yet and missed it on TV. But with all the content that is available on the net, I will ensure that I watch the entire show along with the red carpet fashion and commentary and all knotty gossip out there . From 1983 with the only exception of “Out of Africa” in 1985, I have watched all the movies that have won the Oscars “Best Film Award”. Some of them I loved and some I really hated. I have tried below to rank winners of Best Films from 1983 until 2011. This is how I did it. I ranked all the movies according to how I would want to watch them and added to it the ranks of IMDB, Rottentomatoes.com, Movies.com and a couple of other internet sources. 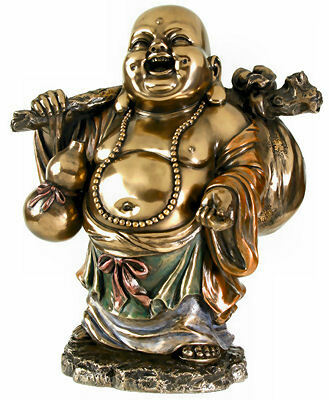 Each source was given a weight according to my judgment, with the highest weight going to my personal ranking. (It is my list after all) Then for these movies I took the critic score and audience score from a movies.com article and coupled it to create an aggregate rank. This is what I have. 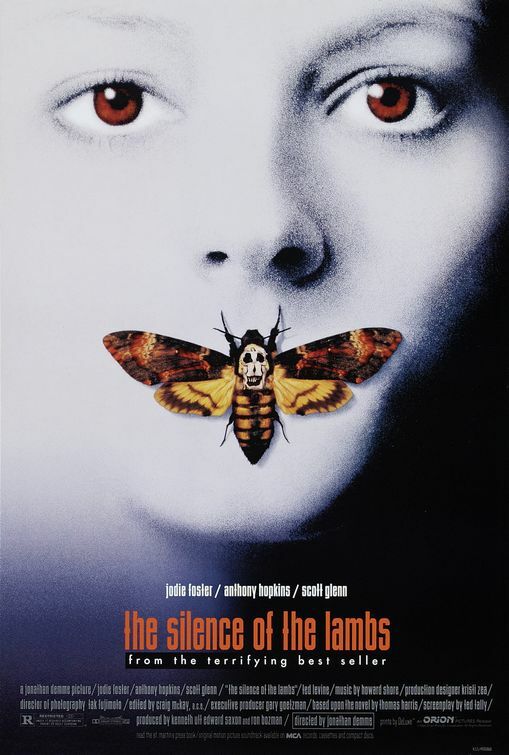 Well, these have been my least favorite movies; with the exception of, “A Beautiful Mind” which I thought it was an exceptional performance by Russell Crow and Jennifer Connelly on a difficult subject. But a lot of critics had a different view. While a lot of people loved Shakespeare in love I was somehow not able to relate to the entire movie, it is in fact something I hated to watch. I have not watched Out of Africa so it might have got an unfair deal. I think Crash did not even deserve an Award. The above list has some of the more popular movies. They have a universal appeal. All these movies have done great on box office, had I taken box office records into the ranking criteria, these movies would have been way higher on the pyramid. 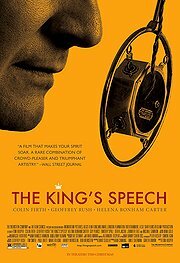 I would like to mention King’s Speech. It is an elegantly crafted piece of work. Firth is superb in the lead role offering a perfectly observed blend of vulnerability and frustration alongside hints of royal arrogance. I loved King’s Speech and I thought it deserved a top 10. If you were to watch one of the movies of the list above; Kings Speech or Platoon is your best bet. Platoon is a brutally realistic look at a young soldier’s tour of duty in Vietnam, drawn from the directors own experiences in the war. It moves away from the bang bang Vietnam war movies and concentrates on the human side of the war. The movie has not lost it relevance even today. 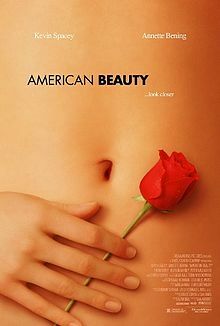 I loved American Beauty, Flawlessly cast and brimming with dark, acid wit, smart, provocative and a high point of late ’90s mainstream Hollywood film. With powerful acting by the cast and great storytelling, it is not a movie you would want to miss; and not a movie that you can watch with kids. I always loved historical movies and gladiator was no exception. But the movie is anchored by Russell Crow by his awe-inspiring acting and without him the movie would have been mentioned as a great costume drama. If you like Russell Crow and this movie is worth a watch. I thought Chicago did not deserve an Oscar, but a lot of people really loved the exuberance of the movie. I slept through the movie. But do not take my word on it you might just love it. The crown jewel in the above list is Amadeus. It is a movie that has not been as popular as it fellow companions on the list, but it is a brilliant movie. Find it and watch it. For this film adaptation of Peter Shaffer’s Broadway hit, director Milos Forman returned to the city of Prague that he’d left behind during the Czech political crises of 1968, bringing along his usual cinematographer and fellow Czech expatriate, Miroslav OndrÃ­cek. 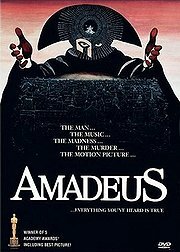 Amadeus is an expansion of a Viennese “urban legend” concerning the death of 18th century musical genius Wolfgang Amadeus Mozart. From the vantage point of an insane asylum, aging royal composer Salieri recalls the events of three decades earlier, when the young Mozart first gained favor in the court of Austrian emperor Joseph II. Departed is a Personal Favorite, it has the sensibilities of a Bollywood movie and some fantastic acting by the cast. Featuring outstanding work from an excellent cast that includes Jack Nicholson, Leonardo DiCaprio, and Matt Damon, The Departed is a thoroughly engrossing gangster drama with the gritty authenticity and soupy morality that has infused director Martin Scorcese’s past triumphs. As both director and star, Clint Eastwood strips away decades of Hollywood varnish applied to the Wild West, and emerges with a series of harshly eloquent statements about the nature of violence. 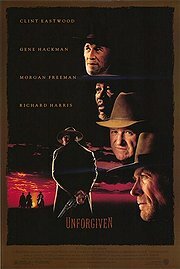 Unforgiven is an entertaining western that pays homage to the great tradition of movie westerns while surreptitiously expressing a certain amount of scepticism. 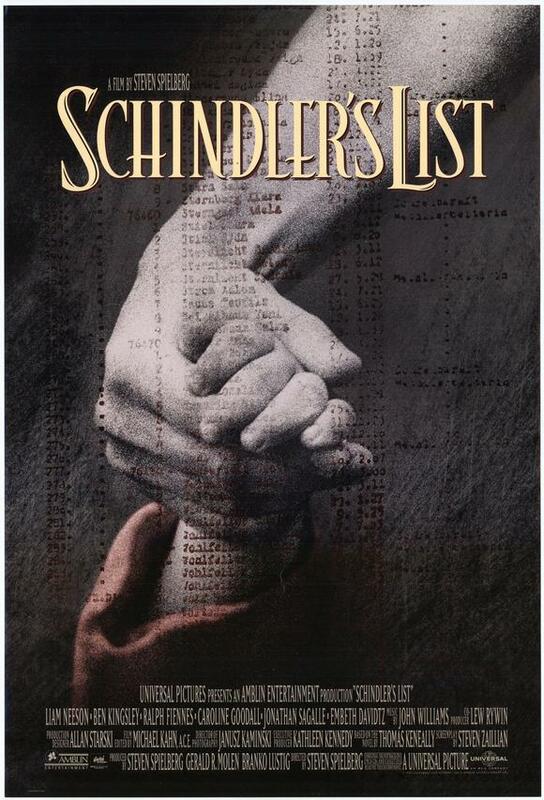 One of the most powerful movies that I have seen in my entire life, Schindler’s List blends the abject horror of the Holocaust with Steven Spielberg’s signature tender humanism to create the director’s dramatic masterpiece. If you have not seen this movie, this should be your next weekend DVD rental. But saying this there are some 56 more movies that have won the academy awards for best films. Some of them are classics like Casablanca, Godfather, Sting and many more that did not make it to the list, because the cut-off year for this review was 1983 when I first saw an OSCAR… I hope to do a top 15 movies of all time that won a best film Oscar some time in future. But right now, I need to go and hunt for a recording of the 2012 Oscar awards…..
ONE of the more memorable slogans to come out of the climate-change talks in Durban over the past few days is: “there is no planet B”. But what if there were? Over the past couple of decades astronomers have logged thousands of so-called “exo-planets”—worlds which orbit stars other than the sun. On December 5th the scientists in charge of Kepler, a space telescope designed to look for such planets, confirmed their instrument’s discovery of its first Earth-like world. It is dubbed, rather unromantically, Kepler 22b. The existence of this planet, which circles a star 600 light-years away, in the constellation of Lyra, had previously been suspected. Kepler, which belongs to NASA, America’s space agency, works by observing dips in a star’s brightness as a planet passes in front of it. It flags likely looking reductions as “candidate planets”, of which Kepler 22b was one. But three passes are needed to confirm a planet’s existence, and Kepler 22b has now passed this test. Crucially, it orbits well within its star’s “Goldilocks zone”: neither too close nor too far away for liquid water (and therefore, perhaps, life) to exist on its surface. It joins two other Earth-like planets—Gliese 581d and HD 85512 b—discovered by another instrument within the past few years. In truth, the term “Earth-like” is a stretch. Kepler 22b has a radius 2.4 times that of Earth, and if it is made from roughly the same stuff its surface gravity will also be about 2.4 times as strong. But NASA’s astronomers remain unsure whether it is predominantly gaseous, liquid or solid. These three potentially habitable exo-planets may soon be joined by many more. In the two and a half years since its launch, Kepler has spotted 2,326 candidate planets. About 650 others have been discovered by other instruments. That plethora allows astronomers to start drawing conclusions about how common various sorts of planets are. Of Kepler’s haul, 9% seem to be of a similar size to Earth (though not all are in the Goldilocks zone of their star); a further 29% are Super Earths—planets substantially larger than Earth that are nevertheless rocky. Forty-eight of Kepler’s unconfirmed candidates look as if they orbit within their stars’ habitable zones; of those, ten seem to be Earth-sized.Nevertheless, Kepler 22b is the most promising exoplanet yet found. 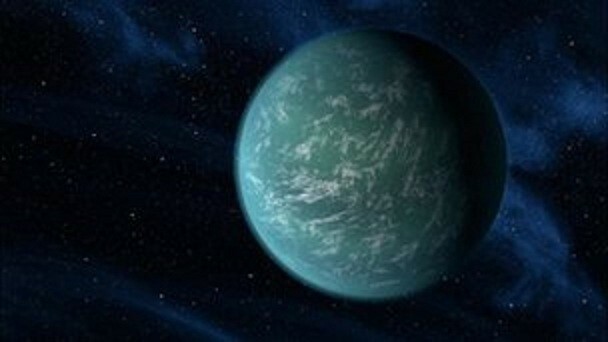 Unlike the others, which skirt the edges of their stars’ Goldilocks zones, Kepler 22b orbits comfortably within its own. NASA’s researchers reckon its surface temperature is about 22°C, compared with 15°C (at least for now) on Earth. Its parent star is similar to the sun, again unlike those of the other two candidates, both of which orbit cooler, dimmer stars. Indeed Gliese 581d’s parent is a red dwarf—the tiniest stellar species. That means its Goldilocks zone is so close to it that the planet may be tidally locked, as the moon is to the Earth. If that were the case, one side of Gliese 581d would be permanently lit (and heated) while the other experienced unending darkness. The ultimate goal, of course, is to let astronomers make a plausible estimate of the total number of planets in the galaxy, of the number that could conceivably support life, and of the fraction of those that could (at least in theory) sustain human colonists. If only a few of Kepler’s possible Earth-like planets turn out to be real, that third number is likely to be in the millions. Such knowledge will mark an historic transition, says Chris Lintott, an astronomer at Oxford University who is giving the Kepler team a hand with the data analysis, since the uncertainties around the question of whether life exists elsewhere will cease to be astronomical (how many suitable planets are there?) and become purely biological (how easy is it for life to get going, and how easy is it for it to become intelligent?). Based on the preliminary data, it looks as if there are numerous suitable planets. The science of exobiology may soon cease to be an oxymoron. In the early nineties an unusual window of opportunity opened up for India. As western companies kept increasing their dependence on information technology, they began to look at India and its large pool of technically qualified human capital. Advances in communication technology made it possible to connect remotely to computers in New York and San Francisco using satellites and fibre optic cables. This external opportunity coincided with the opening up the Indian economy. The reduction in tariffs, freeing up of the rupee, abolishing of licences, and reforms in the capital markets unleashed enormous entrepreneurial energy. Most important was the serendipitous coalition that emerged that freed up the software industry from the clutches of regulation. It was a motley crowd of far-seeing politicians, risk-taking bureaucrats and a bunch of maverick entrepreneurs who, while tiny at the time, were fully prepared to face global competition. This led to policies that allowed free flow of foreign capital, massive investment in broadband capabilities, zero tariffs on imported software and a favourable tax regime. Surprisingly, rather than the much touted technology companies from the West, it was a set of indigenous companies who soon took the leadership position. The rest is history. An industry that was US$50 million dollars in 1991 is well on its way to be over US$50 billion by 2011. And India went from being perceived as an economic basket case to teaming up with China for the leadership of the Asian Century. Most importantly, it has and will further create millions of jobs for all the young educated men and women that pour out of our colleges. India’s first middle class was created by the jobs in government, PSUs, banks, and the railways. Their children got to work in the air-conditioned offices of IT and BPO companies. A similar opportunity awaits us today. In a low inflation, low-interest rate global environment, with tremendous over-capacity in many industries, it is very difficult to raise prices. In fully optimised economies, it is difficult to get volume growth either. The only way for companies to grow their earnings is to reduce their costs by operating and procurement leverage. That is why they scour the world looking for cheaper and high quality products to stock the shelves of department stores and supermarkets. In this world the retailers who directly reach the consumer are our best allies to take our produce to market. What are the areas that retailers are looking at to source from India? They are apparel, home furnishings, consumer durables and agricultural products. Today the volume of products procured from India is estimated to be about US$4 billion. 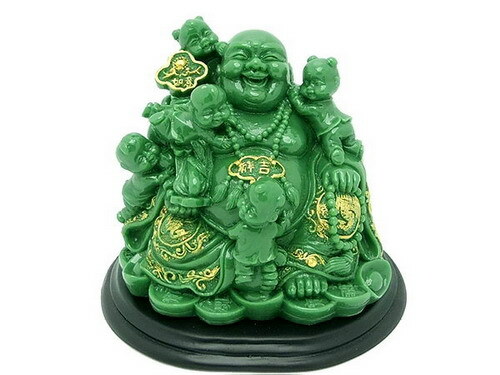 Wal-Mart alone is estimated to source about US$20 billion from China. It is reasonable to assume that if we hook up our manufacturing and agriculture to global consumers through the gigantic retailers, we can generate annual exports of US$50 billion over the next 20 years. 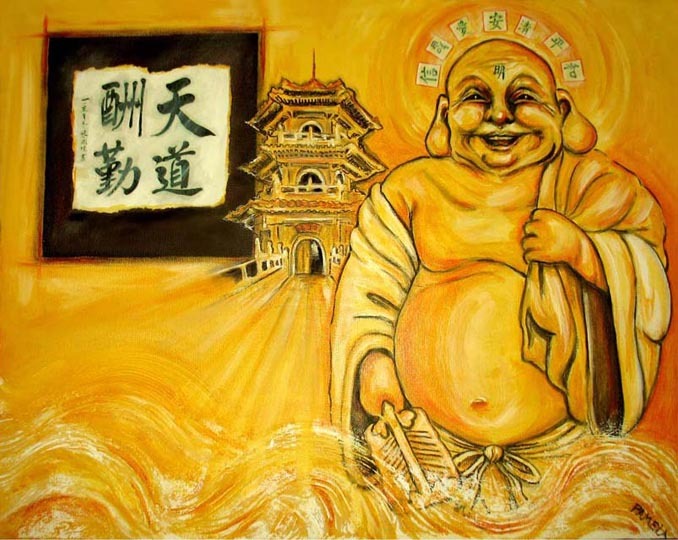 A friend from Fortune magazine once told me that what the submarine cable is to India (a gigantic pipe to ship knowledge services to the West), Wal-Mart is to China (a gigantic pipe to ship manufactured products to the West)! Moreover, it is a great opportunity to kickstart the agricultural sector. Today the US spends about US$100 billion on agricultural subsidies. In Europe the subsidies under the Common Agricultural Policy are around Euro 40 billion. In the US, the subsidies are under threat due to the humungous budgets deficits. In Europe, the increasing cost of providing benefits to an aging population combined with the burden of EU enlargement will put enormous stress on the CAP. Agricultural subsidies will disappear in the next ten years, not because of the Doha round of the WTO but because of the oldest reason in the world, that they will become unaffordable. And it will take us that much time to get our agricultural act together to exploit this opportunity. Moreover, 100 per cent FDI in retail satisfies all the conditions for FDI considered as politically correct today. First, the retail industry is amongst the most sophisticated users of technology. The growth of Wal-Mart and Dell is simply because they manage the best global supply chains on the planet. To get the right product at the lowest price to the right consumer at the right time at the right location, when you are dealing with thousands of products, many of which are perishable or have short fashion windows, and to still make a profit, is the most difficult job in the world. The huge advances in technology today, whether it is RFID for tracking products, data warehouses for understanding customer behaviour, or IP-addressable refrigerated trucks, are all about improving distribution. Our supply chains will get upgraded with technology dramatically, reducing waste and intermediation costs. This will lead to lower prices for consumers and higher prices for producers. Secondly, it will significantly augment our productive capacity. The US$50 billion in exports, combined with another, say, US$10 billion of organised retail domestic will create the need for thousands of factories, to make jeans, curtains, fans, cans, bottle caps, and what have you. It will be the catalyst to manufacturing and agriculture what IT was to services. And finally, it will create millions of jobs in the factories, the fields and the transportation companies. In an economy growing at 7-8 per cent it will be additional jobs as the expanded domestic capacity caters to urban areas which will grow from 30 per cent to 50 per cent of our population in the next 20 years. And, who knows, like in the software, the telecom and the airline industry, the ultimate winners may not be the foreign companies but our own homegrown entrepreneurs who time and time again have shown what they can do when they have been unshackled and exposed to global competition. Over a decade ago, we did some far-reaching things that put the sparkle back in the eyes of our educated urban youngsters. What right do we have to deny to the millions of kids growing up today, the same opportunity in our fields, factories and stores? The only way not to let them down is to create the supply chain pipes that will connect our farms and factories to the consumers of the world. For that we need 100 per cent foreign direct investment in the Indian retail sector. There is not a minute to lose. We should just do it! This is an earlier article by Nandan Nelkeni, i donot have the source but a copy of the article. But there was one who clearly defied my intellectual colleague. He was no ordinary passenger, he was the pilot of the train and when he gets down the train stops. He is one of the mythical few, who have the uncanny ability to bulldoze through all odds to get to where they want to be. We know him as Steve Jobs.A very few people in this world have the ability to evoke extreme emotions: admiration, love, worship, hate; that Steve Jobs is able to by the mere mention of his name. With a fan following which would mock a rock-star, the master crafts man in the last three decades has been a phenomenon of a rare kind. His rode a roller coaster while most of us are anxious of the merry go rounds that we call lives. His entire life was a soap opera, born to an unwed mother who gave him up for adoption, adopted by amaranthine middle class folks who never went to college but promised Steve’s biological mother to see him through a college education. But he drops from college because it was too expensive for his adopted parents who were hell bent to fulfil their promise, but stays on the campus and continues to learn. He then starts a company with a friend in a garage with a vision so clear that the first MAC was a revolution in personal computing. In a strange twist of fate, worthy of a bestseller plot, he get thrown away from the company he created by the person he recruited….what more does the audience require before the end of Act 1 of the great magician. Act 3 was the most dramatic; the final Act….it was also the most creative and profitable phase of Apple. Over the years even though it was developing some of the finest personal computers, Apple was playing a second hand fiddle to IBM machines. It was the product of the geeks and artistic niche. But with the coming of “I revolution” : IPOD, MAC pro, MAC Air, Apple TV, ITunes, IPod touch, IPhone, IPad it was the golden phase for apple and its shareholders. 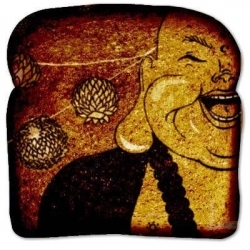 Each product was a cutting edge in technology, cool, and each was a divine revelation. It changed how we listened to music; how we bought music, redefined a personal computer, integrated mainstream TV to computing, gave a new perspective to a smart phone and created a new electronics category call a tablet. Apple was no longer a toy of the geeks or the artistic misfits but these products were the gadgets of the elite and the cool dudes of the world. All these were the result of the tyranny of visionary genius call Steve Jobs. He did all this fighting cancer and in the fall of 2011 he finally said good bye. Like the end of every great act, it has left the audience spellbound and the theater quite; still sitting in their seats the audience expects him to come back and finish the show…..and they will keep waiting.